I've been walking with the idea of changing the look of the blog for a while now and finally I put my hands on my keyboard and my eyes on the price. I searched and searched for a great theme for blogger and I found this lovely one that you can see right now all over the place. I'm pretty happy with the outcome (after doing allot of stuff wrong) and happy with all the advice that I got. The next step is to purchase my own domain and that will happen more in the flow of the year. As you can see, there are some new features in the pages, like PORTFOLIO, INTERVIEWS and SERVICES. 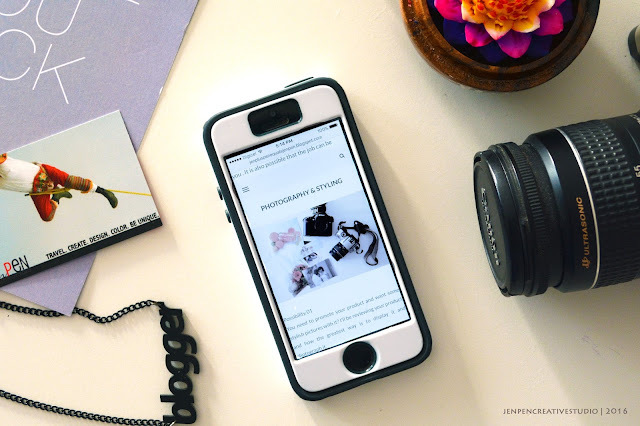 I wanted to let my small business be more part of my blog, so now you can link direct to my portfolio page (which is just in a new location on the blog) and get a better view of the services I provide. The interviews page a link direct to the Your Own Boss series. I'm planning to do more of those this year. It's a great way to inspire other to take the leap and be their own bosses. I de-cluttered my ABOUT ME page. You can click on the picture of me (on the right side of the blog) sitting and being very interesting in my oh so awesome overall-jeans and talking about interior designing. I was featured on one of our local program Arte pa Tur. Which ofcourse was really cool. People keep telling me "hey I watch you on TV". How cool is that?! I'm taking this blog into a new direction, which is to be more of a interior design/styling blog. I want to incorporate my work more into my blog, by sharing projects I'm doing. I would like more shop and home tours on the blog also. Inspiring interviews and posts about inspiring artists. Hope you like the new look and are excited, like me, for the new adventure of the blog. What are your thoughts of the blog? Please leave you comment on the section below. I don't know what your blog looked like before but it's beautiful now. I want to do an overhaul on mine too but I just did not too long ago. I have a new design I want to try but I don't really love it. You did a great job! I always love minimalistic blog designs when I see them, but can't seem to do it on my own. I like color! I usually have crappy pictures that detract from the overall look as well, but I really need to see if I can stand to just simplify it. i just changed my banner and like it better. You have to search for the right one that really appeals to you and just spray it will color all over. It would be a totally YOU design :). Thanks for stopping by. This looks awesome! It's amazing how a simple layout change can boost everything! Thanks Kristin....it's indeed so true. A little change makes everything look completely new again. Thanks for stopping by. Congratulations! I can't wait to read more on your new blog. I love interior design and styling...it will be fun to see your post! Love the new look! It's fresh and clean...just like your pictures. Really easy to navigate and I get a better sense of your style. Love it! Great work!